Our natural woven kubu wicker furniture is brought in to South Africa from Indonesia, the world’s largest rattan source. 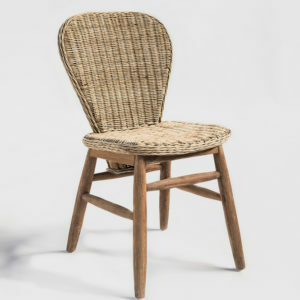 Our Jack and Elemy dining chairs feature a woven rattan seat and back on a durable teak frame. Rattan adds a striking layer of texture to any interior. Available through our Cape Town and Johannesburg showrooms.